I counted―out of 450 solar contracting companies on our 2018 Top Solar Contractors list, only 24 have women listed as CEOs. That isn’t to say women don’t hold other executive roles or make up other staff, but it does say something about the need for diversity in the solar industry. According to the 2017 Solar Jobs Census from The Solar Foundation, women make up just 27% of the solar workforce. Working on an almost entirely woman-led team at Solar Power World, I wanted to hear why other women got into solar and and how we can encourage more to get involved. Before becoming COO, Tanya Strickford grew up through the ranks of SunPower by Positive Energy Solar (No. 204 on the 2018 Top Solar Contractors list), progressing from a field installer to crew lead, crew manager and operations manager. She loves working in solar and being part of a diverse group of people at the table, all working to solve problems that will impact the future. Strickford wants to bring her peers to the industry by leading through example. Ivy Gilbert was asked to help a solar start-up when she worked as a business consultant and ended up acquiring it and becoming CEO of IQ Power (No. 296 on the 2018 Top Solar Contractors list). Her passion grew as she discovered the possibilities that solar offered. Gilbert said it’s important to allow others to try something new and maybe discover their passion for solar too. So she didn’t waste any time when a marketer showed interest in transitioning to installation. “We immediately set her up for training with our installation and service department where she went on installs and service calls until she was competent enough to handle service calls alone,” she said. “She enjoyed the work.” There’s a job on the roof for anyone with a passion and good work ethic. Kristin Underwood, co-owner of Planet Earth Solar (No. 281 on the 2018 Top Solar Contractors list), was working for the EPA when she realized she couldn’t work behind a desk for the rest of her life. She likes that solar allows her to be outdoors and physically see what she has accomplished each day. She encourages companies to hire and mentor a diverse workforce. Katharine Kent, president of The Solar Store (No. 344 on the 2018 Top Solar Contractors list), helped start the business 20 years ago, then eventually bought the company and became the sole owner. She also studied nuclear and energy engineering and encourages her peers to enter STEM industries. Kathy Miller worked in corporate America, founded several preschools and even flipped houses before cofounding Yes Solar Solutions (No. 238 on the 2018 Top Solar Contractors list). She loves working in customer-owned solar because she gets to see the difference it makes in people’s lives and businesses. Miller tries to share that passion with her interns, while giving them real-world experience in solar. She advises companies to look past the gender and color of applicants and think about building a successful team first. Galina Kofchock had a drafting background from college, so when she opened Osceola Energy (No. 240 on the 2018 Top Solar Contractors list), she took on all the proposals, designs, permitting, financing, bookkeeping, payroll and other clerical tasks. This in-depth knowledge of the business has helped her become a successful CFO. She said she would love to see more diverse installers in the field. Sheryl Lane found solar by accident. When her boyfriend at the time was let go from his solar installation job, she paired her entrepreneurial and marketing experience with his contractor’s license and started Earth Electric (No. 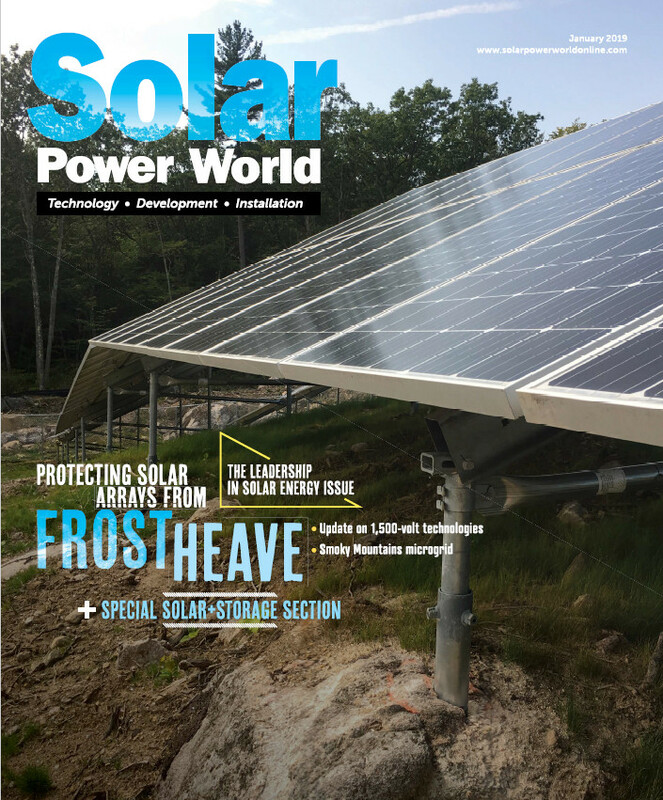 388 on the 2018 Top Solar Contractors list). She brings a holistic attitude to her work every day and to the solar industry as a whole. Nice article Kathie! Thanks so much. Maybe this will inspire more women. Great to know these successes are happening. I have worked in solar since 2011 and went from sales, to design, project management and construction management. In all these roles I have only met 1 other woman on a crew of an electric vendor and I work in Northern California. Doesn’t seem right. Now I’m in commercial solar construction and the my experience is the same so far. Would love to see the large vendors and EPC companies make diversity part of what they support – it is the 21st century. Great article and honored to be among these great leaders!